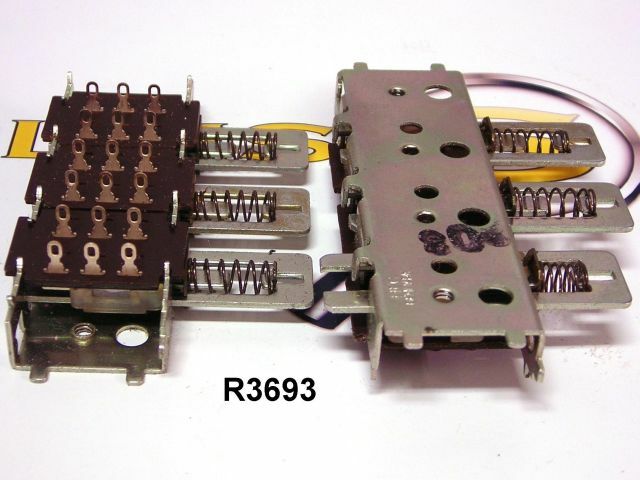 This special switch assembly uses a "car radio" setup to gang together 3 DPDT switches. Push-on/Push-off operation. Unused.